We all have our challenges with writing. I know I do. But as frustrating as these challenges can be, I know it’s not near as frustrating as the person I was talking with this weekend. I never caught his name. I wish I had. I was talking to him, and he said one of his hands is actually paralyzed, so he was forced to type with just one hand. I don’t know about you, but that would frustrate me so much. I will be talking about this on my other website today (My Life According To Courtney), and actually attempt to type with just one hand. I’m excited yet dreading the process. Oh, and I’ll be typing with my right hand. I’m left-handed, so that’s a pretty big deal. I feel sorry for this writer. He said he’s gotten used to it, and I have no doubt he has, but I still can’t imagine going through something like that. He said he used to type with both hands before he became paralyzed. I just…wow. 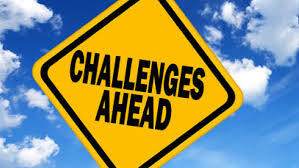 I’m going to figure out what a challenge learning about it is when I start working on the other post. Like I said, though, we all have our challenges. Some challenges are bigger than others. My biggest challenge seems to be repetitiveness. I go on and on and on…you get the picture. So, what is your biggest writing challenge? Let me know in the comments!